When you live with chronic back pain, you would do anything for relief. And like 600,000 other Americans, you may decide that spine surgery is the right route for you. But before you agree to go into the operating room, you need to ask your doctor the right questions. Here are seven questions you need to ask to be prepared for your surgery. 1. What Type of Surgery Do You Recommend? There are many different types of spine surgery out there. It’s important to understand why your doctor is recommending this particular type of surgery. Ask your surgeon to explain the procedure and describe it to you in plain English. For example, you should find out where in the spinal column the surgery will focus and how big the incision will be. You’ll also want to know whether the surgeon will come in through the back (posteriorly) or the front (anteriorly). 2. What Will the Procedure Do? After the type of surgery, the next most important question is what the procedure will do. This is for two reasons. First, the doctor should have a clear understanding of what’s causing your pain. After all, if they don’t know what’s causing the pain, how can you expect them to recommend the right surgery to treat it? Second, if the doctor does know what’s causing your pain, they should be able to elaborate on what this procedure will do to alleviate your pain. 3. Why This Procedure? Are There Alternatives? This question goes hand-in-hand with the previous question. If your doctor has an understanding of your pain, they should be able to explain why this procedure is the best choice out of all the other available options. They should also be willing to explain what the other options are. In most cases, spinal surgery is viewed as the last option only after other, more conservative, non-surgical back treatments have failed. Ask your doctor if there are any other non-surgical options you could try. For example, if you have a bulging disc, you may benefit from ice and heat therapy. You may also want to consider stem cell treatments–it’s a quick, minimally invasive procedure that has been shown to slow or stop disc degeneration. 4. What are the Benefits of This Operation? When you ask your doctor why you should consider this procedure, you should also talk to them about the benefits of this particular operation. The most obvious benefit, of course, is relief from your chronic back pain. But the spine is more than just a row of bones–it’s the body’s central support structure, and the right procedure should correct a number of problems to improve your overall wellbeing. Ask your doctor about the benefits in terms of pain relief, restored function, mobility, and independence. Would the surgery allow you to return to work pain-free? Will you be able to walk upright for the first time in a while? Don’t forget to ask how long the benefits will last. If you’re only looking at a month of benefits after a long recovery, it may not be worth the time and money. 5. What are the Risks of This Operation? No one wants to think about surgical complications and risks. But it’s vital to understand the potential hazards of any operation before you agree to it. If you’re worried about anesthesia, it’s a good idea to talk to your anesthesiologist beforehand. 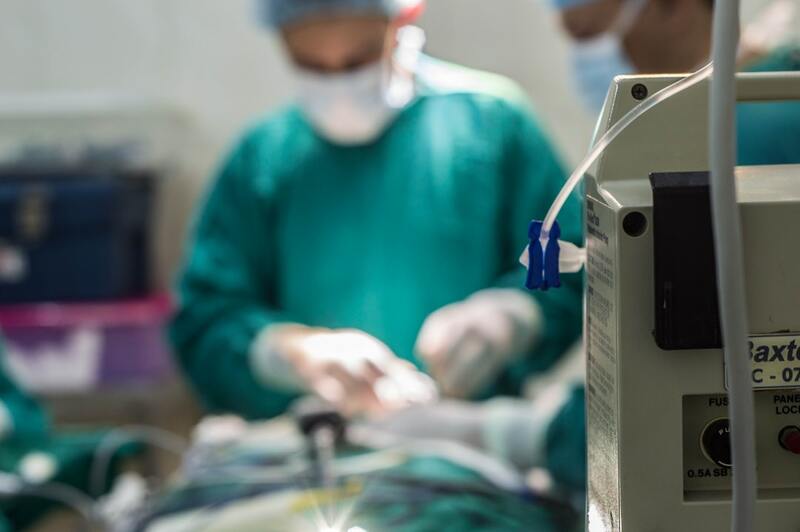 The anesthesiologist, not the surgeon, is the one who will give you pain medication before surgery, so it’s important to talk to them about the potential risks of anesthesia in your case. Don’t be afraid to be blunt with your doctor about your worries, and don’t be shy when asking them how they’ll deal with potential complications during and after surgery. Remember, no one has to undergo surgery against their will. You always have the right to refuse surgery if you’re not comfortable with it. 6. What are the Chances of Success? When you talk to your doctor about benefits and risk, it’s important to bring up your chances of success after surgery. The success of any surgery is contingent on several factors. This includes anything from your medical history to your reaction to the anesthesia to the doctors and nurses working on you to how your body reacts to the surgery. This is to say that every patient is different, and no surgery has a 100% guaranteed success rate. Your doctor has to be honest about your chances for success based on the severity of the problem, your medical history, and the relative risk of the procedure. If a particular operation doesn’t have a high success rate, it’s important to consider whether the potential for success is worth the risk (and cost) of poor results. 7. What Will My Recovery Look Like? Finally, make sure to ask your doctor what your recovery will look like. Highly invasive operations typically have longer recovery periods. It takes longer to heal from a broken arm than a paper cut, and the same basic principle applies to spinal surgery. Ask your doctor how long they expect the recovery to take and what your limitations will be. For example, will you need assistance at home after surgery? For how long? How long will you have limitations following surgery? Will you need physical therapy or medications? This also applies to work and your personal life. When will you be able to drive again? What about lifting things, like kids or an infant? When can you return to work? When can you have sexual activity again? You’d be surprised by how much your life is affected when you can’t move freely. Make sure you understand how this will affect your life (and for how long) so that you can plan accordingly. If you’ve asked all the right questions, or if you’re looking for the right doctor to perform your spine surgery, you’ve come to the right place. Not sure if you’re a good candidate for surgery? Read this guide to see if you should consider surgery as a treatment option. Want to talk about your options? Click here to book an appointment online.